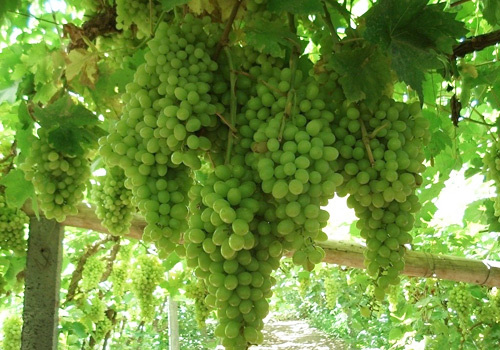 Location: grape valley is located 11km north east of the Turpan urban center, Xinjiang Uygur Autonomous Region. How to get there: you can ride a coach bus, or ride any of the local tourist busses, or you can ride the No.3 or No.102 bus there. 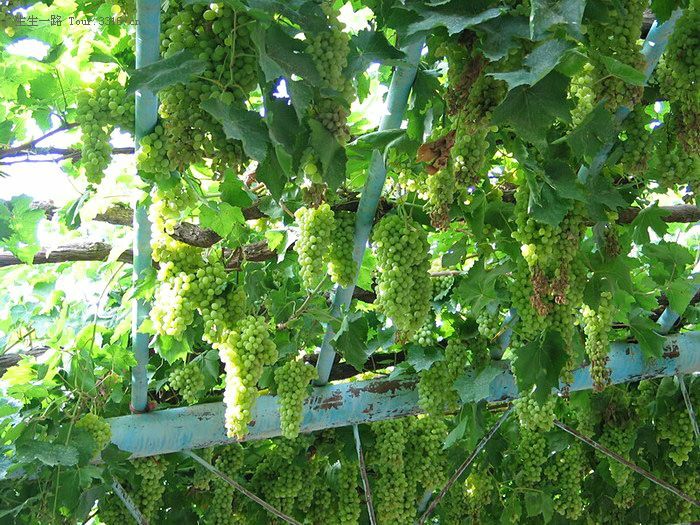 To speak Turpan, it is the Grape Valley and its sweet grapes that to be mentioned just as the popular saying goes, Xijiang is a hometown to fruits and the most prestigious are grapes of Turpan, melons of Hami, bergamot pear of Korla and pomegranate of Karghalik. A place with breath-taking scenery surrounded by deserts, Grape Valley is located 11km from Turpan urban area, under the Flaming Mountain. The valley itself measures 8km from north to south and 2 km from east to west. The valley’s main water source comes from snow melt among the mountains, currently there are 4,266 acres of vineyards, and the gross annual output of grapes is measure at 14,932 tons. 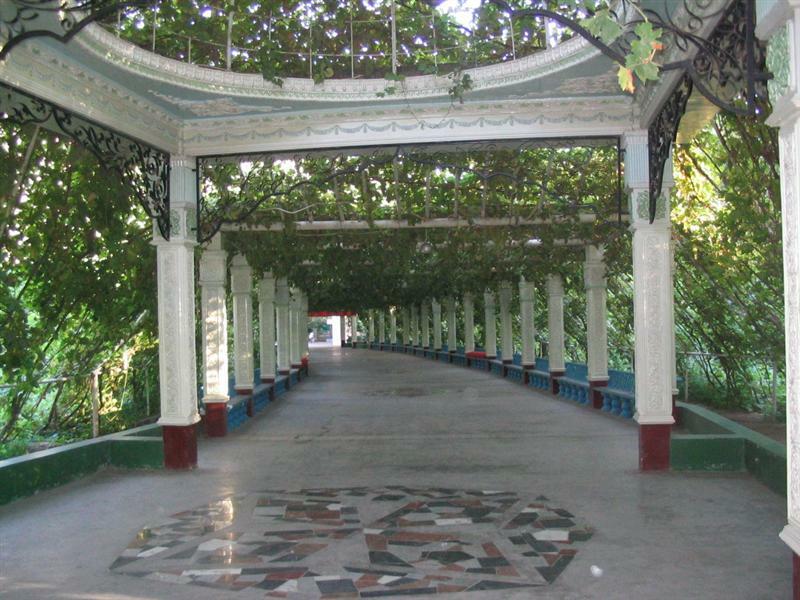 In ancient times when the Silk Road was still in great use for travelers, and traders alike Turpan was a hot spot. Here they sold, and traded all kinds of goods, and one of those goods was Grape Valleys very own grapes, raisins, jams, and wines. 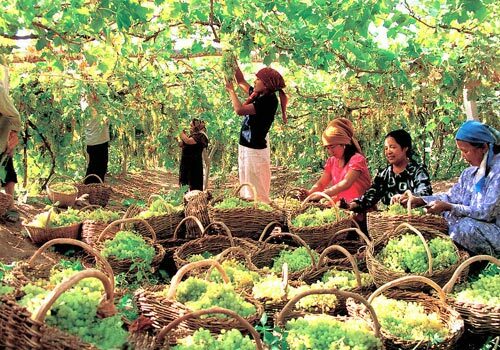 While in Turpan you will get hot, and tired, and sweaty so why not go ahead and relax in the Grape Valley under all those beautiful grapes, take in some shade, breath in some "grapy" air, take in some of the local life, and last but not least get some grapes in you. Here there is a great variety of grapes, white, and red, green, and black, some with seeds, and some without, all tasty and worth trying once or twice. Get them ripe, get them dry, get them in jam form, or get them in wine form in any case just get some. Eat them, spread them on your bread, drink them, get them dried and take them home. THEY’RE SO SWEET! 22% sugar, that’s good for the soul.